Winter and winter driving seem to catch Ontario drivers by surprise. We might be caught by surprise because in Ontario we can never be sure when winter is going to arrive. 1. Use winter tires. It’s safer and can save you money. 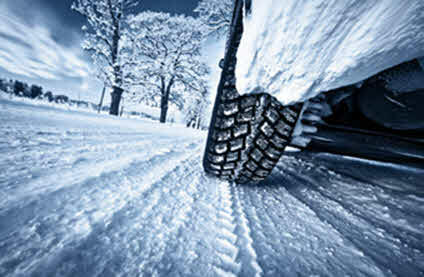 Tests show conclusively that winter tires out-perform all-season tires. This is great news when slippery road conditions prevail in Ontario. Winter tires also improve your fuel consumption. Another great benefit is that most insurance companies offer discounts on your car insurance if you use winter tires. 2. Take your vehicle in for servicing before winter. Cold winter conditions are much harder on your vehicle. Make a maintenance appointment with your mechanic to make sure that your car is in top running order before winter arrives. 3. Don’t drive with frozen or snow covered windows that obstruct your views. It is mandatory to have a clear view from the front and side windows under the Ontario Highway Act ( see Section 74 ). Clearing your windows is much safer and improves your visibility when driving. It is also good to clean your lights so you can see better and so other vehicles can see you. So before the weather turns bad, put scrapers and brushes in your vehicle and make sure you keep your windows clean. 4. Remove any snow from your car before you drive. Having excess snow oh your vehicle’s hood or roof can be hazardous for you and other drivers. It can impair visibility and be very dangerous for vehicles behind you if a big chunk of ice or snow flies off. 5. Check and top up your washer fluid frequently. Most drivers use more washer fluid in the winter. So be sure to check and top up your washer fluid frequently. It’s no fun driving when you can see out of your windows. It’s not safe either. 6. Keep your fuel levels topped up – at least above half-full. Aside from not worrying about running out of gas during a snowstorm, extra fuel adds more weight to your car which can help traction in the winter. It keeps moisture down in your gas lines so they are less likely to freeze. 7. Keep an Emergency Kit in your vehicle. If you’re stranded in snow, an emergency kit will help to keep you warm and dry. 8. Give yourself extra time to arrive at your destination. Road conditions in the winter are generally worse than in other seasons which can make trips take longer. It’s best to take your time and drive according to the weather conditions. If the conditions are too hazardous for driving find a safe place to pull over and wait for conditions to improve. It’s better to be delayed and arrive safely. 9. Check weather and road conditions before you drive. Call 511 to check provincial driving conditions before you get into your car. Or check for Ontario road closures online here . 10. Learn winter driving techniques or take a winter driving course. Brush up on your winter driving techniques. Many drivers think that they can handle winter road conditions just because they live in Ontario. You can always improve your driving ability. Here is a MTO Winter Driving pdf for more details. You can also take a winter driving course taught by a professional. 11. Make sure your winter clothes don’t restrict your driving. When your driving for long distances it is helpful to layer up. But make sure that you still have full mobility so you can see and drive safely. 12. If conditions are slippery and you have to drive let others know. 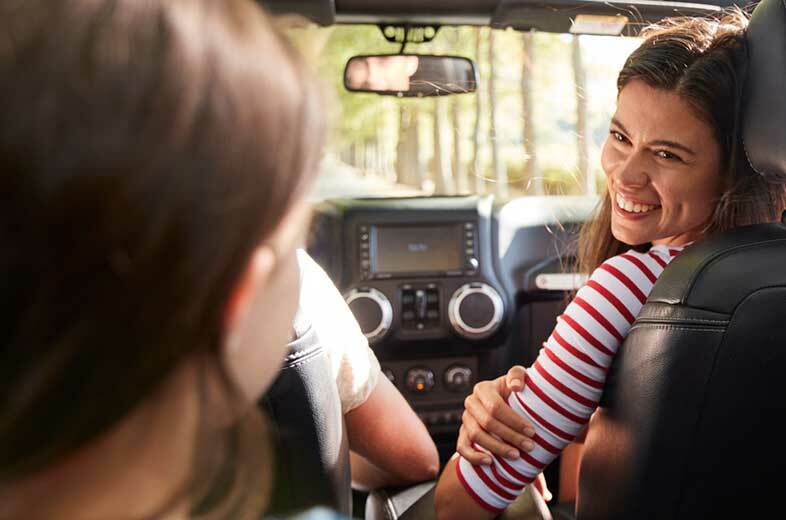 Let someone know you’re on the road and where you are going. Check in when you arrive at your destination. 13. Slow down and double your stopping distance in slippery conditions. Slow down! Adjust your driving speed to match road and weather conditions. In dry road conditions, you should give yourself enough distance to stop safely. This is known as the two-second rule. In slippery or icy conditions, you should double your distance – allowing at least a 4 second distance between you and the car in front of you. If you find yourself behind a snow plow, keep extra distance and overtake them only when it is safe to do so. 14. Learn how to manage your car in a skid. If the car is skidding, steer it in the direction of the skid. Steer towards where you want the car to go. Don’t over-correct. If you are on ice and skidding in a straight line, shift into neutral or step on the clutch. Read more about skids, maneuvering and braking here. 15. Avoid overdrive and cruise control in bad or snowy conditions. You have less control over your vehicle when you use cruise control. And in overdrive, the engine will not help slow your car down. Winter Driving Tips Safety Quiz - Are You A Safe Winter Driver? Winter road conditions can be hazardous in Ontario. Don’t get caught off-guard! Follow these tips for winter driving and you’ll be well on your way to a safe driving season.